On February 9th, 2011, Palm's Jon Rubinstein took to the stage to unveil the first major products to come out of the division since the HP sale. The Pre 3 and Veer phones weren't much better than the Pre phones that came before them, but the TouchPad showed promise, at least on the software side. Unbeknownst to Rubinstein and his staff, the event — known internally as "Embark" — would be the high point of Palm's brief tenure at HP. But the good vibes from the event didn't last long. Apple announced the iPad 2 on March 2nd, less than one month later and well before Palm's TouchPad was released. Though webOS on the TouchPad had some clever features and an elegant software design, the TouchPad itself was a hulking, plastic monster. It was for all intents and purposes a glossy black look-alike of the original iPad. Apple's iPad 2 was as much of a revelation as the original iPad. It was radically thinner, lighter, and faster than what had come before and it immediately made the TouchPad — not to mention competing Android tablets — look stale by comparison. Apple released the iPad 2 to consumers just over a week after it was announced, while the TouchPad wasn't released until July. 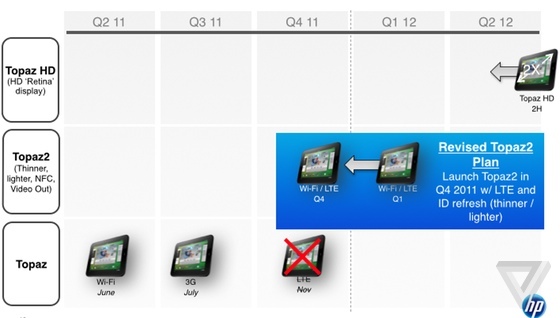 If the documents we obtained detailing HP's product plans are any indication, the iPad 2 sent the company into a panic. In a document distributed in late March, HP admitted that the iPad 2 had "changed the competitive trajectory" and foresaw rapid responses from Samsung — which had shaved over 2mm from its Galaxy Tab tablet in response to the iPad 2. HP had also gotten pushback from the likes of AT&T, which wasn't happy with the TouchPad's "thickness, weight, [and industrial design]." HP created a plan to refresh the TouchPad with the "Sapphire" (the TouchPad's codename was Topaz, and the Sapphire was also referred to as the "Topaz2"), with the unrealistic goal of developing it in "record time" and releasing it in late 2011. At the same time, it was working on another tablet that would feature a high resolution screen to be released in the latter half of 2012. The former would have brought the company to some kind of parity with Apple (albeit a year late), while the latter would have arrived a few months after Apple introduced a Retina display iPad. It also planned to work on a successor to the "Opal," the 7-inch tablet that was nearly released as the TouchPad Go before it was canceled. HP's tablet plans looked reactionary in both specs and design. It was caught flat-footed by Apple and was rushing to make its traditional tablets competitive. It’s not clear how far along HP got with any of these plans, but it seems unlikely that any of them would have made their ship-date targets. HP was also painfully aware that though the Palm faithful still liked hardware keyboards and the slide-out design of the Pre (and even the Veer), the rest of the world was moving to touchscreen-only phones. It had developed a version of the Pre 3 that had no physical keyboard, codenamed "WindsorNot ." The WindsorNot was meant for AT&T but didn’t have LTE, and it was delayed past the point when AT&T would require all smartphones to have LTE. 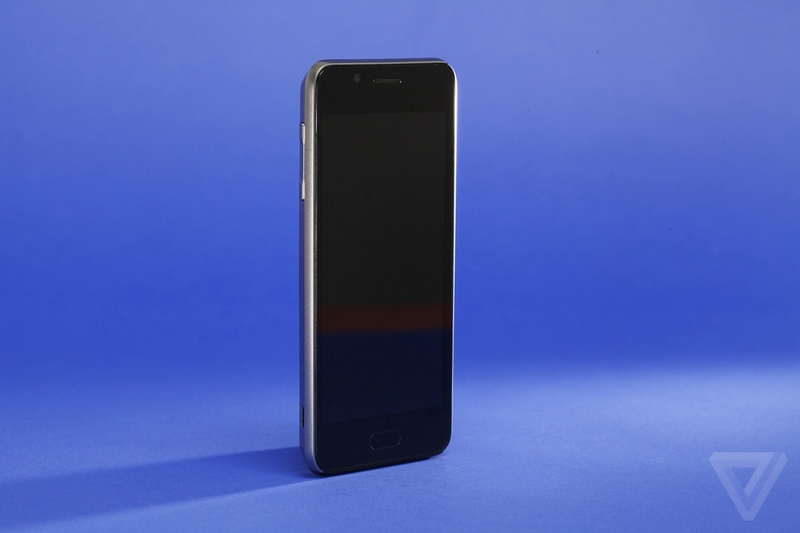 However, HP was also working on a significantly more advanced phone, codenamed "Mako." The Verge obtained a design prototype of the device that reveals a new design direction eschewing the soft, nature-inspired pebble look of the Pre for something much more angular. 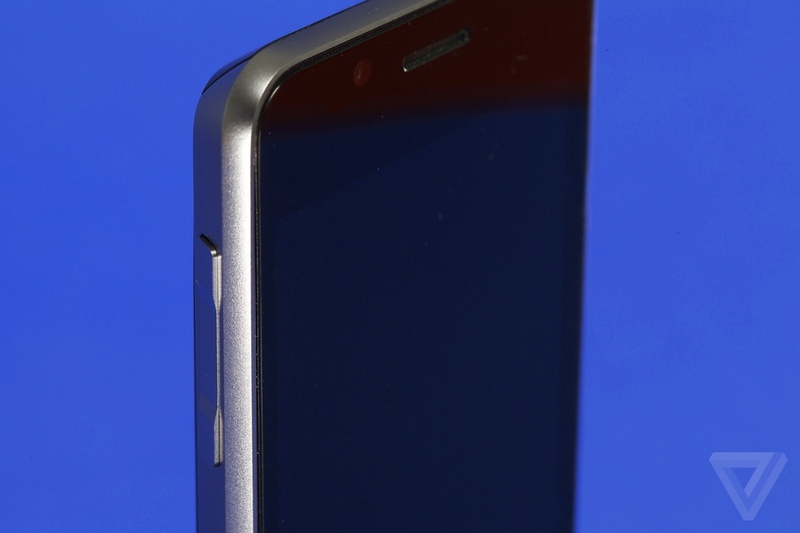 It was to have a glass front and back, wireless charging, LTE, and a high-resolution screen. By today's standards, the Mako looks thick and this particular prototype isn't exactly beautiful — but it is at least unique and presumably the final hardware would have been fairly elegant, especially compared to other devices in late 2011 and early 2012. In terms of specs, we are told that it was to be about on par with the HTC One X, and had things gone according to plan it would have possibly been released in early 2012, beating the One X to market. Had Palm managed to pull it off, the Mako would have been one of the first Palm devices in a long time to feature competitive performance — albeit in a form that was still thicker than other devices at the time. However, development on the Mako never made it very far, and to our knowledge no working models ever got off the development board, much less into real-world testing. But HP wasn't just working on "traditional tablets" like the Topaz2 and Opal and "traditional" phones like the Mako: it was also in the process of developing a hybrid device that would combine a tablet with a keyboard and a new sliding hinge. It would have been a precursor to the many hybrid Windows 8 devices on the market today. HP codenamed it "Twain." Development on Twain was already underway by March, 2011, when Apple’s iPad 2 blindsided HP. The knock on iOS on the iPad was always that it wasn't great at being "productive," and HP intended to take that perceived weakness head on. In an early presentation outlining Twain's features, HP asked "Are traditional notebooks a thing of the past?" and answered "If they are, Twain is the notebook of the future." Twain's core design involved a touchscreen that could slide out and then up to reveal a keyboard underneath. The proposed hardware specs were up to date, but most importantly it was to feature the stark new industrial design direction meant for all future Palm products. HP wanted to add a magnetic charger, NFC, HDMI-out, and a set of software features designed to make the Twain appeal to enterprise and productivity customers. HP also planned on extending the "Touch to share" feature it had introduced on the original TouchPad so that you could swipe data from the Twain to another webOS device using "ultrasonic transmission to sense the location of fellow webOS devices." While most of HP's tablet and phone plans (save the Twain) were reactionary and predictable, the software team was working on some truly innovative designs. For the Twain to have any success, HP would need to do more than just release the hardware with webOS as it was currently known. webOS has had a long and fractured history of rushing to get a less-than-ideal product out the door — putting off necessary and important projects like unifying the OS under a single backend framework. 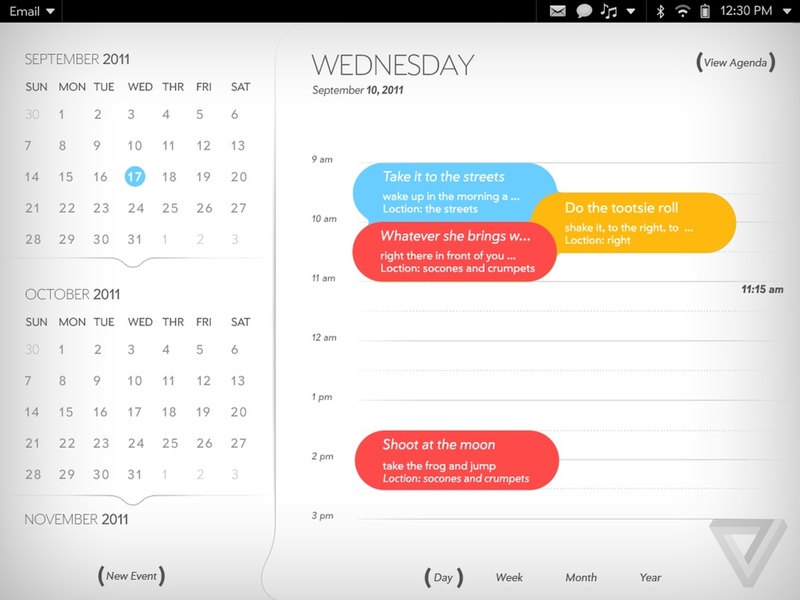 Unfortunately, that trend was still fully in play as Palm began work on the next version of webOS. But while the underpinnings were still in flux, the actual design and functionality of webOS was moving forward in a surprisingly good direction. Under the leadership of its then-director of human interface, Itai Vonshak, Palm was moving forward with a software strategy to complement the productivity targets it had set for Twain. That meant webOS would need to become more useful for traditional work tasks — without turning itself into something that looked and felt like Windows. The answer to both of those questions would be "Eel," the codename for the next major version of webOS in 2011. 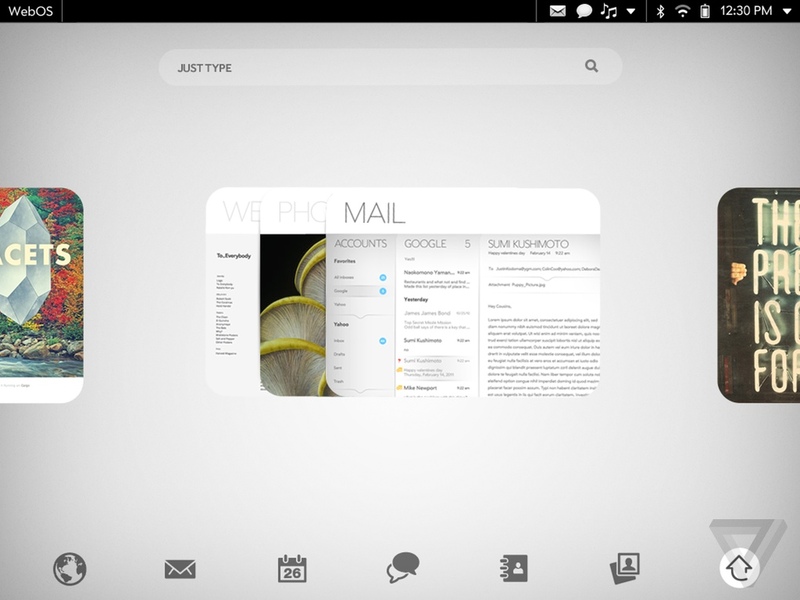 At the heart of Eel was an attempt to expand on the "card" metaphor that Matias Duarte had first unveiled with the original Palm Pre in 2009.
webOS had already introduced "card stacks" in an earlier version, letting you stack your active application cards into logical groupings. It had also introduced another concept that was finally beginning to gain widespread adoption: responsive panels. In essence, a "panel" presented different views depending on where you were in the app and how large a screen you had, but did so without requiring you to rewrite the app. Thus, in the email app, you could tap through your list of emails to a single email on a phone, or on a tablet see both side by side. Vonshak and his team were tasked with extending both of those two UX metaphors and making them more useful. To do it, the team essentially mixed them together. In Eel, you could tap on a link to open it up in a new panel, which would appear on the left. But instead of simply being a panel within an app, it would be a separate card, which you could slide left or right to have multiple cards visible. You could also "shear" off the card and put it into an entirely different stack. It wasn’t dissimilar from the way that Windows 8 allows you to "snap" windows, but on Eel it was to be more flexible in terms of window size and grouping. 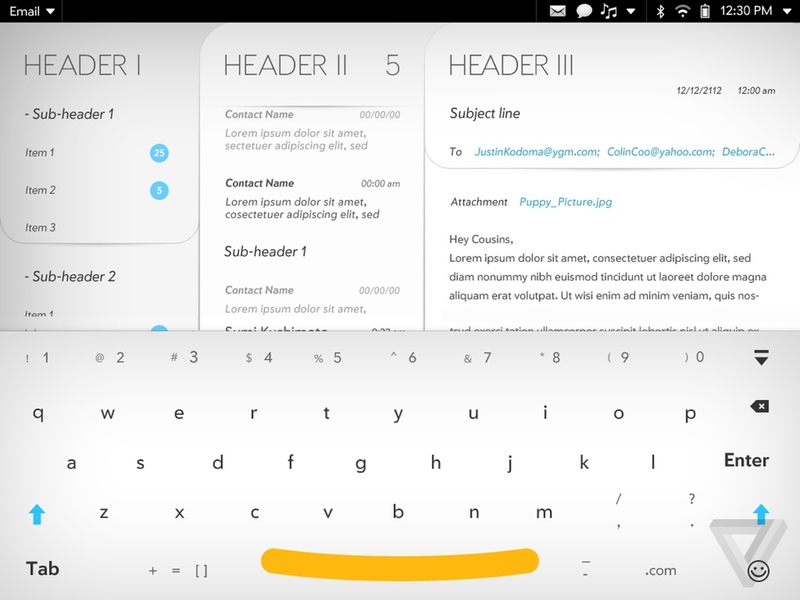 Panels and cards weren't quite the "windows" that we're used to on desktops, but it approached their utility while still being manageable on both phones and tablets. Though Eel added more power to the core interface of webOS (along with, it must be said, more complexity), it also did something more. Years before Apple went "flat" with its design for iOS 7 and even well before Android cleaned itself up, the Vonshak and visual design director Liron Damir were finalizing a new software design language it called "Mochi." 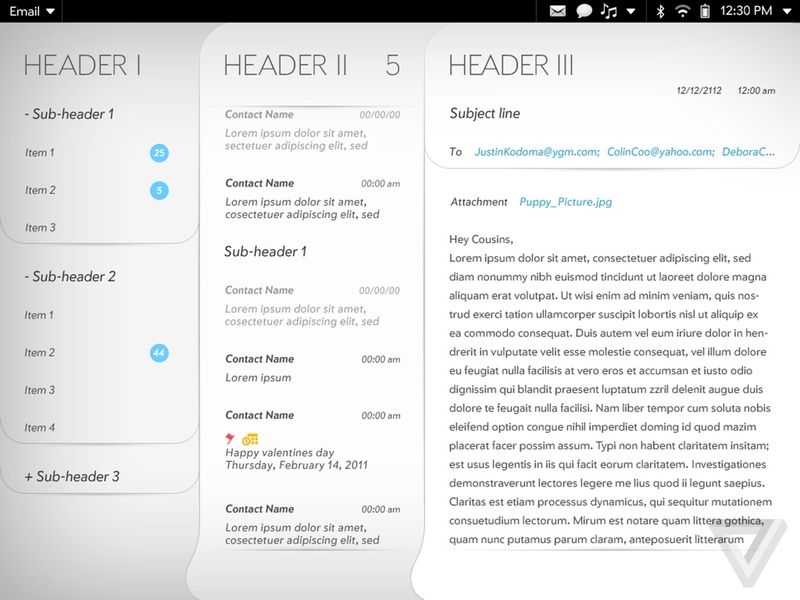 In fact, Palm had been working on two different design languages for Eel. One was significantly harsher and more industrial-looking, the better to match the hard lines of products like Twain and Mako. However, when Apotheker made the decision to scuttle webOS hardware, the team focused its efforts on the softer Mochi design — which was more in fitting with Palm's ethos. As HP's management struggled to decide what to do with webOS, Palm's software team moved forward on redesigning the entire OS with a flatter, cleaner look. Soft white backgrounds were mixed with bold colors. At one point, the team had proposed creating subtle animations for the panels, having them "breathe" as though they were pieces of paper, so you could tell that they could be moved around more easily. In lieu of back buttons, panels had a small curved tab at the bottom that indicated they could be grabbed and resized. 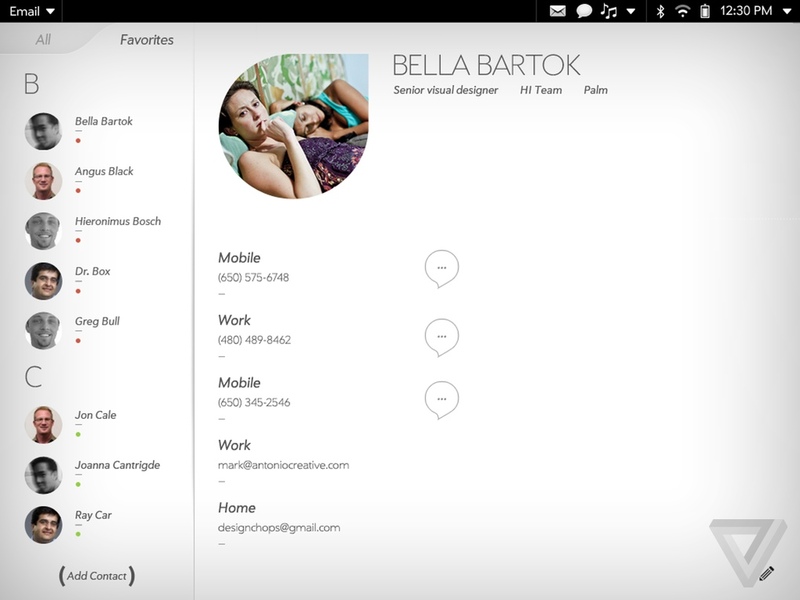 Mochi wasn't completely flat in the vein of Windows Phone, or even what we'd eventually see with iOS 7. There were still gradients and curves — but they were mixed with big typography and an elegant use of white space to help make data easier to parse. Fonts were improved and Eel made heavy use of circles — an homage to the Palm logo of old. Obviously, none of these webOS dreams came to pass — nor did other ideas like a stylus that could read color in the real world and then use it to draw on a tablet. 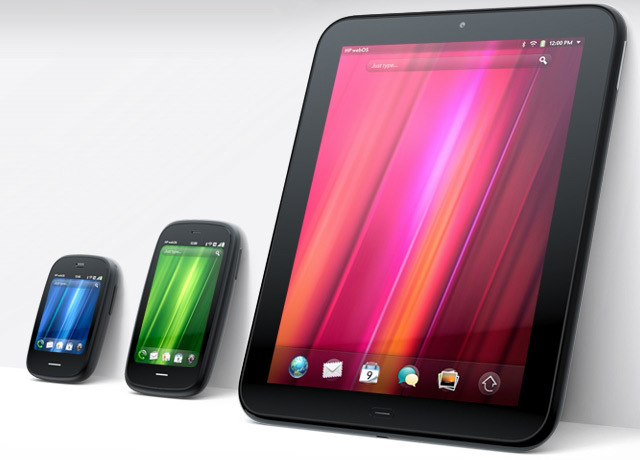 Even if HP had not decided to give up on webOS hardware and all but abandon webOS software, the chances that any of these products would have seen the market and gained any sort of real success seems awfully small. Both Palm and HP had difficulties shipping on time and competing successfully even in the best of circumstances — and it was clear that HP didn't think it would be able to take on the challenges that would have lain ahead for webOS. The competitive landscape for tablets and phones wasn't quite as locked down in late 2011 and early 2012 as it is now — back then, it still seemed like there might be space for at least four major players in the market. However, since then we've seen BlackBerry implode almost as spectacularly as Palm, and a host of other companies have failed to make a dent. Microsoft may have established itself in third place behind iOS and Android — but with the benefit of hindsight it seems obvious now that there wouldn't have been much space for webOS to hang on. Though it's painful to Palm fans to have to admit it (especially when looking at the clean lines on Mochi), the marketplace probably would have doomed these webOS products if HP hadn't done it first. We'll never be able to say definitively that HP made the right call in killing off webOS and selling what was left for LG to put on televisions. But now, in 2014, LG's forthcoming TV will be yet another new beginning for webOS — a smaller ambition for a bigger screen.